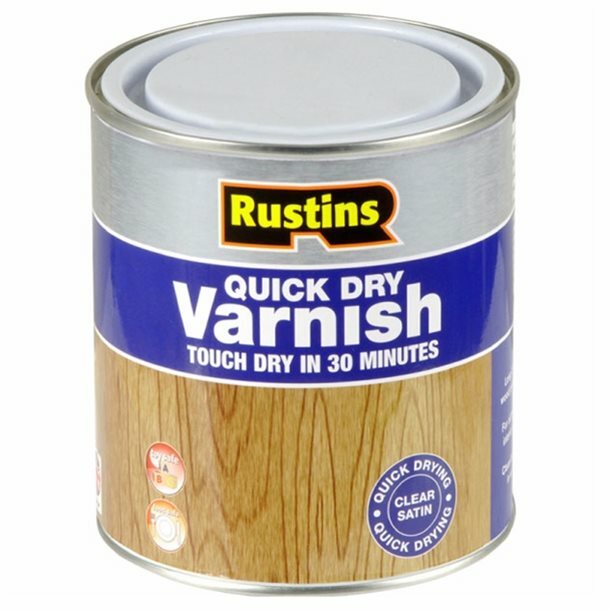 Rustins Quick Dry Clear Varnish hard wearing coating for interior wood. Rustins quick-drying, hard wearing coating for all interior woodwork, has the least effect on the colour of the wood. A tough and durable finish for all woodwork and cork. Apply 2-3 coats for the perfect finish. Low odour non-toxic and touch dry in 20 minutes, re-coatable in 2 hours. Clean brushes in water. Available in gloss, satin and matt finishes.